Are you looking for the perfect gift? Look no further! Our bag design and making course is the perfect gift for Christmas, birthdays, and Hen nights too! An unforgettable experience that you will carry with you for the rest of your life, along with the bag, of course! And don’t forget, your bag will be one of a kind, designed and made by you, for you. Wherever you go, whoever you meet, you will never see a bag quite like yours! Our gift vouchers can be used at any of our workshops within 6 months of the date of purchase. For details of the models and times of our workshops, have a look at our Registration and Bags in the menu. The price of our gift voucher is 50 000 Huf. 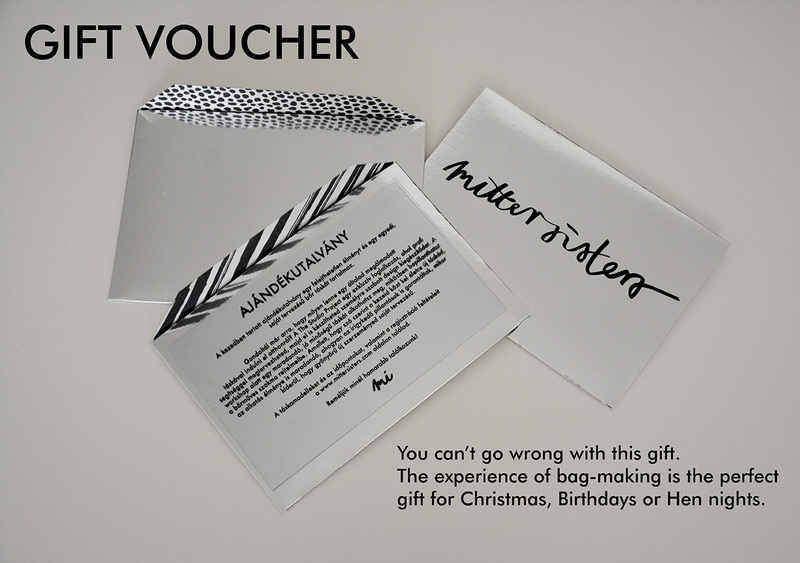 For the details of pick up and payment of the gift voucher please contact us on info@mittersisters.com! Try something absolutely original this summer! We are proud to launch the ultimate leather bag and sandal making course what is a unique collaboration between two of the coolest design brands in Budapest. Come to our studio to create leather accessories from your very own design with the full support of professional designers and leatherworkers. Share an exciting creative experience with others and join the slow fashion movement. You will leave with great memories, new friends, new skills and a personalized luxury bag + matching sandals. Early bird tickets are available until the 31st of May.